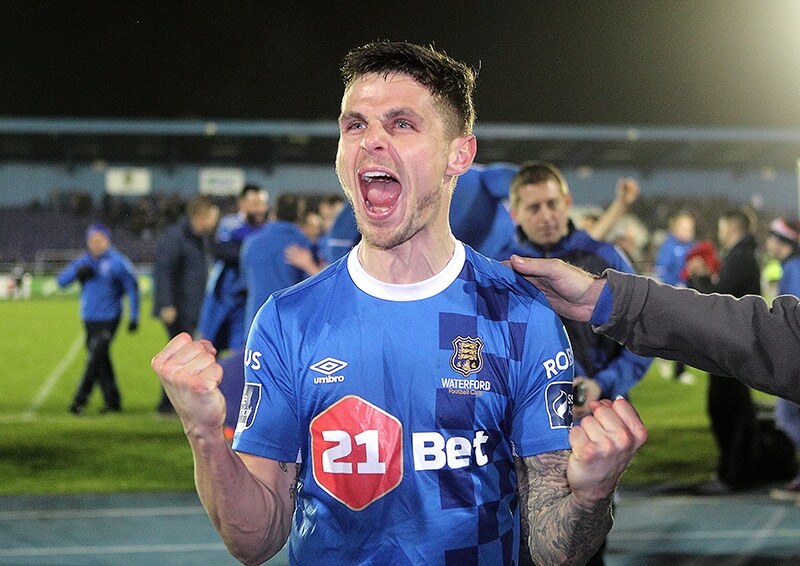 Waterford FC moved joint top of the Premier Division table after a 2-1 win over reigning champions Cork City on Friday night. 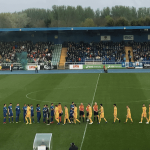 Conor McCarthy gave the visitors the lead but an own goal from Conor McCormack and a header from Blues’ in-form Courtney Duffus gave Alan Reynolds side the three points for the Blues before a late melee involving both sides. Bastien Hery and Stanley Aborah, as well as boss Reynolds were dismissed, while Cork’s Garry Buckley, Steven Beattie and manager John Caulfield were also dismissed by referee Rob Rogers. The visitors were in front after just two minutes; Barry McNamee’s curling free kick found the head of Aaron Barry at the back post and he set up Conor McCarthy to fire home. Paul Keegan went close midway through the first half but his free kick didn’t trouble Mark McNulty in the City goal. Kieran Sadlier went close when he met Conor McCarthy’s cross but he couldn’t find the target for Cork. And the Blues were back level just six minutes into the second half. Gavan Holohan fired in the cross from the right and the ball hit visiting captain Conor McCormack and bounced beyond McNulty for an own goal. Duffus had a chance on the hour mark but he volleyed over, before McNamee had a great chance to give City the lead again but he fired wide after taking advantage of Bastien Hery’s short back pass. And the Blues snatched the winner with 10 minutes left. 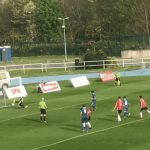 Izzy Akinade’s strike looped over City keeper McNulty and striker Duffus was on hand to head the winner and send Waterford joint top of the Premier Division table.